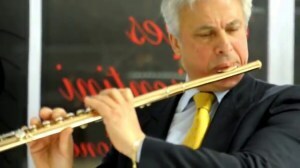 We are introducing a new feature at Flute Journal. In addition to reviews of single recordings, from time to time we hope to offer full retrospectives of an artist’s work to date. We will begin with a look at the work of Rita D’Arcangelo, (pictured left), although here in two parts. Two things struck me when I first saw D’Arcangelo’s discography. Her output has been modest; she has issued five CDs since 2010. At the same time, however, it is remarkably broad; she has covered a quite remarkable range of music within the scope of this limited output. 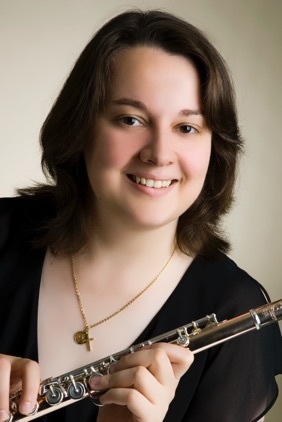 She has included music for solo flute, flute and piano, flute and harpsichord and flute and guitar. She has touched upon the baroque, classical and romantic eras, extending into the 20th century. She has drawn from Europe and the Mediterranean regions, from composers both famous and obscure. She has drawn on standard works, transcriptions, and material emerging from “dark . . . editorial intrigues.” She has balanced performance skills with musicological research to produce intriguing combinations of material which result in both attractive programming while expanding the flute repertoire. The quality of D’Arcangelo’s work is not surprising after reviewing her background. Born in Guardiagrele, Italy, Rita began studying flute at the State Conservatory of Music in Pescara, where she graduated with distinction, studying with Sandro Carbone. She went on to earn degrees from the Royal Northern College of Music in Manchester, the International Academy of Music in Milan, where she studied with Raffaele Trevisani, and the Hochschule für Musik in Mannheim, where she earned a soloist diploma and a masters in orchestral studies, working with Jean-Michel Tanguy. In her professional career, D’Arcangelo has been recognised with numerous awards, including the Marc Rich Foundation Scholarship for Artistic Achievement and as winner of 1st prize at the James Galway masterclass in Weggis, Switzerland (2008). 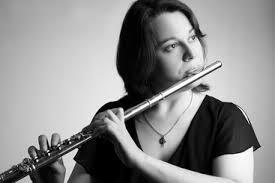 She is currently Flute Lecturer at the Department of Music at the State German University BTU- Cottbus. Her earlier albums, Allegro con Brio and A Virtuoso Journey both received critical acclaim. We have just published the review I wrote of both albums in Flutist Quarterly in 2015. I ended that review with the words “It is hard to imagine what might come next in this sequence of recordings. It will certainly be worth waiting for.” Time has born this out, as Rita D’Arcangelo has produced two more equally unexpected but highly satisfying CDs. But none of this matters! In fact it is mere hair-splitting. 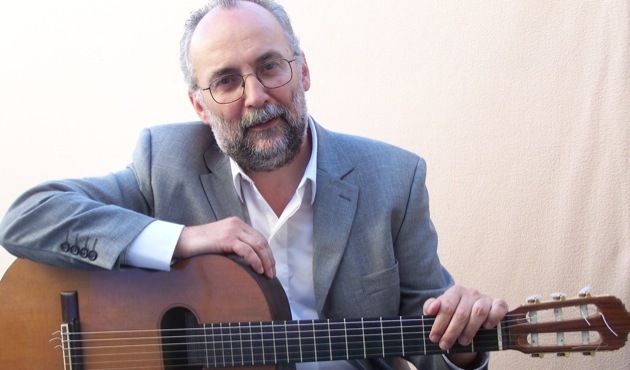 Circumscribed by the work of Spanish (and Latin-American) composers, Castelnuovo-Tedesco, Albéniz, Rodrigo and Pujol, with a couple of Italians, Paganini and Piovani, (and, let’s be fair, Maganini) thrown in, the whole program works beautifully. 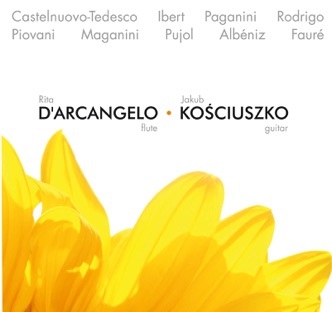 Supported by a level of precision and balance in execution that places the D’Arcangelo/Kościuszko Duo in the upper echelons of the flute/guitar genre, the recording exudes musicality of the highest order, and a warmth that proclaims the breadth of D’Arcangelo’s musical imagination and her love of melody. 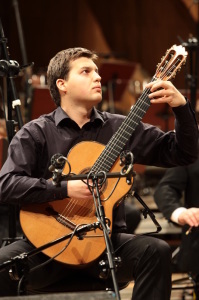 I was particularly thrilled to encounter the pieces by Rodrigo that makes me hope that D’Arcangelo might choose to record the Concerto Pastoral at some future time. 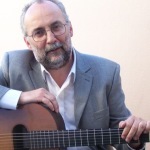 There are ongoing efforts to extend the repertoire for flute and guitar as we have reported elsewhere. With these performances and her ongoing transcription work, D’Arcangelo has made a significant contribution to this effort. Transcriptions also play an important role in D’Arcangelo’s most recent offering. And again, she has executed another change of direction while revisiting that most demanding of formats, the solo flute. There is no shortage of J.S. Bach performances from flutists, both in concert and on CD. Sonata in B minor for obbligato harpsichord and flute, BWV 1030 is said to be one of the masterworks of the entire Baroque period, and the Partita in A minor, BWV 1013, is itself certainly one of the most significant pieces for solo flute. So it is that both of them have received multiple recordings, the J.S. Bach from Rampal to Galway to Pahoud, along with recorder players, saxophonists, clarinetists, bassoonists, guitarists, accordionists . . . The same is true of the CPE Bach piece, in that there is no shortage of recordings. And there are also compilations of the flute & keyboard sonatas, such as the Emmanuel Pahud collection with Trevor Pinnock, from 2008, the recently re-issued set from Jean-Pierre Rampal, and, of course, Sir James Galway has a set. 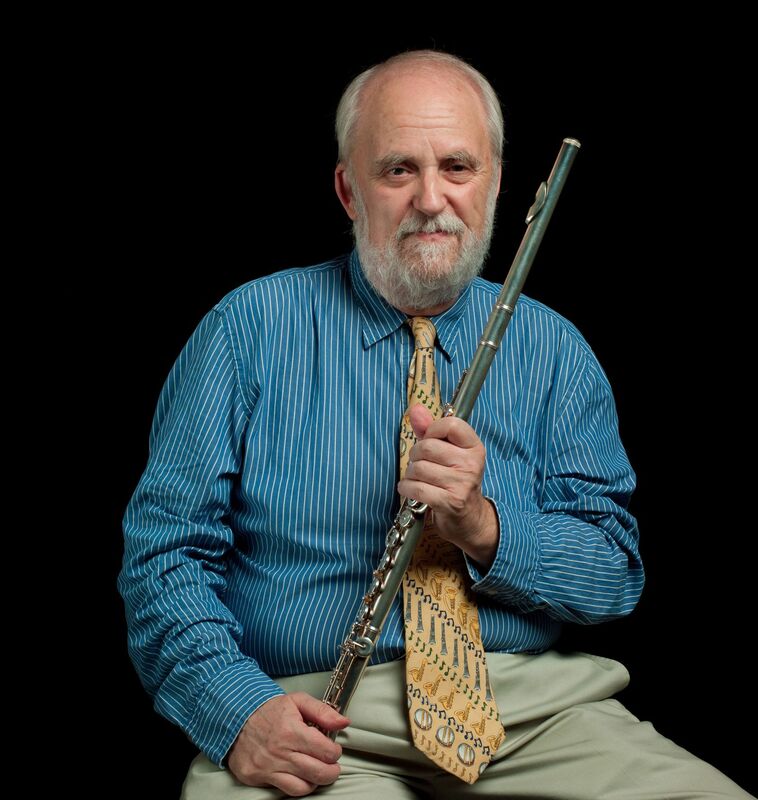 So it is that some recently, some flutists, in attempting to prepare some fresh material for Bach collections, have looked elsewhere for new material. Most significant was Rachel Brown’s collection, A Tribute To Bach, that was reviewed at Flute Journal. In her case, she included four of the better-known sonatas, BWV 1030, 1032, 1034, & 1035, as well as the solo work, 1013. But to round out the 2 CD collection, Brown included flute solos from other Bach sources, cantatas primarily, along with one oratorio and one movement from Bach’s transcription of a Vivaldi violin concerto. A very welcome collection. D’Arcangelo has taken a similar approach, but with a differentset of transcriptions to produce another very welcome collection. Beginning with the J.S. Bach A minor, BWV 1013 and followed by the C.P.E. Bach piece (Wq 132/H 562), D’Arcangelo chooses several transcriptions she has made from other works, four specifically selected movements from the Suites for Cello, BWV 1007, 1009 and 1012 and two from the Solo Sonatas/Partitas for violin, BWV 1004/1005. Chosen for their suitability for the flute, and written in the original key, these pieces have served as encore material at D’Arcangelo’s concerts. Now that she has had the opportunity to record them, along with the equally welcome opportunity to hear the J.S. and C.P.E. 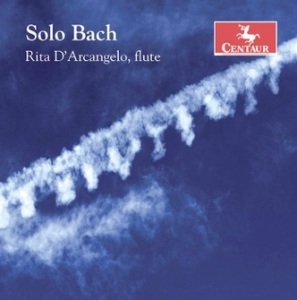 Bach solo sonatas, they add up to another collection that should be essential to any library of Bach flute music. As with the rest of her discography, the performances are immaculate, the research behind the music reveals a keenly intelligent musical mind. Thus, after another two recordings, we are left with the same question: what will she come up with next?